The Outer Banks Community Sailing Program is located at the Roanoke Island Maritime Museum boat shop on the Manteo, NC waterfront. Our youth program is available for ages 8 to 16. Fourteen, five-day sessions are offered from June 11 through August 3, 2018. Morning or afternoon sessions are offered. The morning session is from 8:00 am until noon and the afternoon session is from 1:00pm until 5:00pm. No prior sailing experience required, beginner to intermediate. Learn to sail in the programs fleet of Optimist, Sunfish, and Club 420’s. All instruction is based on US Sailing guidelines. 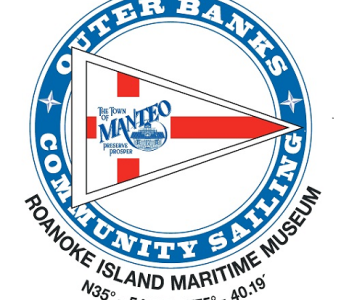 For more information on the program please contact: Outer Banks Community Sailing – 252-475-1750, email: sailing@townofmanteo.com, or follow us on Facebook at: Roanoke Island Maritime Museum.